“Inventing is hard work, and commercialisation is even harder.” We’ve talked about the delicate conversion of ideas into innovations adopted by the core company into “Innovation fight against the organisation calls necessity for change”. The third area means that “innovation thrives within an environment with some structure and constraints, innovation is not a solo activity and requires that collaboration be fostered”. Braden claims sustainable innovation requires a formalized approach including ten foundational activities such a innovation meaning for your organization, innovation language, vision, strategy, goals, process, financing, innovation portfolio, projects staffing and funding, instrumenting to learn fast. Similarly, in “Rapid innovation” thesis and “Innovation: thoughts for thoughts from 24 years ago”, I have suggested a “creative tension” as a lever to manage innovation within a new entity dedicated to creativity. What is creative tension, and how does it articulate with new product development teams? Tension #2 is focus: knowledge circulation is key and has to be carefully monitored, notably by fast prototyping, looking for incremental development at fast pace ; designing in short cycle implies eliminating a lot of ideas, it requires focus; innovation process will be managed so as to converge progressiveley, leaving “chaos for order”, moving from “creative-reflective” stage to “mechanic-structured” stage as product finds its identity. Tension #3 is leadership, providing a framework to creativity to project team as well as ambitious and specific goals. “No freedom without necessity” says French philosoph Alain. Strategic uncertainty: goals are vague, or the innovation team ignores clear strategy to pursue its own goals. To solve this uncertainty, ask the executive sponsor of the innovation effort to clarify the corporate strategies and goals. If they can’t, the team needs to assert what it thinks is important and ask for acceptance. “Outcome” uncertainty: it deals with what the team is supposed to produce. Incremental products or disruptive services? Narrowing the scope actually helps the team. Communication uncertainty: no one bothers to communicate goals or outcomes to the rest of the organization. Your team can’t work well in isolation and won’t work well in active competition with the rest of the organization. Communicate your purpose and goals quickly and continuously. Better to have one or two active enemies who fear your team will disrupt their activities than an entire organization suspicious of your intentions. Success uncertainty: nobody wants the black mark of “failure” on their permanent record. We can increase the likelihood of success by investing in the right tools, techniques and methods, and perhaps partners, who can make innovation more successful. Commitment uncertainty: when innovation is something resources can commit only about 4 hours a week towards. Your firm can eliminate commitment uncertainty by recognizing the people who are on the innovation team and ensuring they can commit the time necessary to be successful on the innovation project. 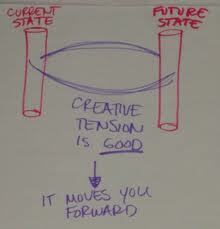 Creative tension can be combined with uncertainty reduction, actually they share some communalities in clarifying strategic goals and outcome, staffing the innovation team appropriately, and adopting techniques like incremental development, prototyping, focus, market watch to spot the right trends and get feedback from consumers at various stages. 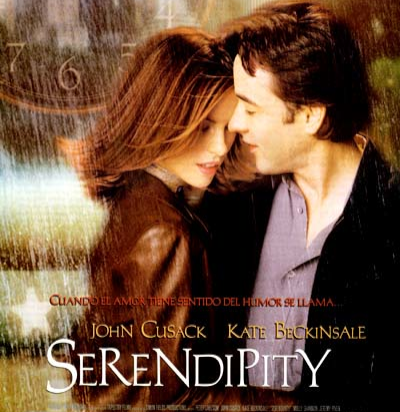 What is important is to get your team out of “serendipity land”, to define your own innovation framework, grabing in the methodologie what echoes in your mind, and moulding it the way it fits with your organization: there is no better way to support your innovation team. Next Mad Men, a great serie but a failed transmedia experiment?